What, exactly, is higher education for? It’s a question that few pause to consider in an age when education to university level is not only regarded virtually as mandatory, but has also become a significant source of income for many economies. It is also a question that, indirectly, is raised by the publication of a charter by the government in Dubai that sets out nine pledges designed to improve the quality of life for future generations. Some of these pledges, touching on issues from healthcare, investment and economic goals to self-sufficiency in water, food and energy, are natural extensions of the forward-thinking philosophy that has seen Dubai propelled from sleepy backwater to vibrant global entrepöt in under a lifetime. But as exciting as some of these plans are, it is in the proposed development of economic free zones attached to universities that Dubai’s ongoing commitment to future-proofing its citizens is most intriguingly evident. Article six of the nine-point charter recognizes a potential flaw in the burgeoning of the education sector, and sets out to correct it. “The end goal,” it states, should not be “only graduating students but also coming up with companies.” In other words, it’s all very well to educate citizens to the highest level. But if there are no jobs for graduates all that has been achieved is the creation of a highly educated class of unemployed, with all that that portends for social disruption. Starting next year, Dubai intends to create economic free zones alongside private and national universities “to support students in education, research and finance while setting up their businesses.” This, in other words, will be education with a tightly defined and facilitated purpose. 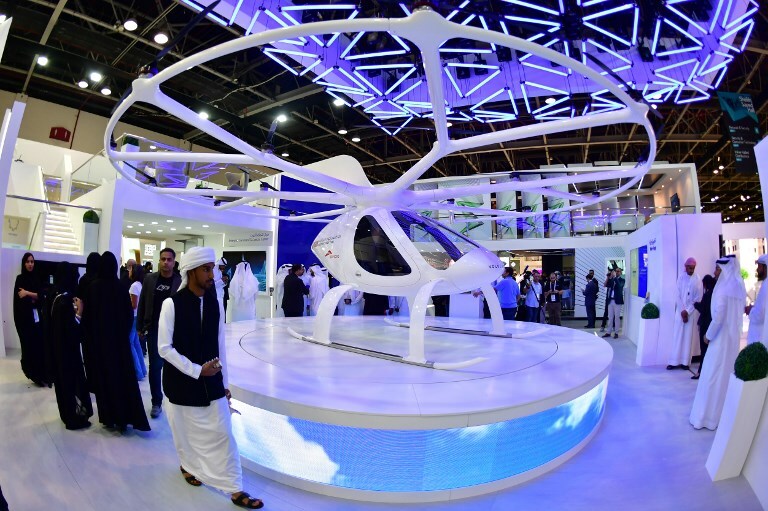 Dubai’s initiative is one of many in a UAE striving energetically to transform itself into a post-oil knowledge economy in which skilled citizens, rather than imported talent, will play an increasingly central role. Within days the announcement was followed by a study from the ministry of education, based on the experience of 13,000 graduates, identifying which degrees were most in demand in the jobs market among those who graduated in 2017. The message to the nation’s schools was clear: steer pupils into subjects that will benefit the development and economic wellbeing of the nation. There is a note of caution to be sounded. Not everyone wants to be an engineer or a contract lawyer when they grow up, and individual hopes and dreams must not be trampled in the rush to fulfill the national destiny. The UAE should take care to ensure that the society it is so deliberately shaping is a balanced one, in which citizens’ lives are enriched as much by art and culture as they are by economic success. That said, there can be no arguing with the fact that financial stability is the basic foundation stone that must be in place if the UAE is to leave oil behind and successfully face the challenges of the future as a knowledge-based economy. And Dubai’s plan to revitalize its education sector as an engine of growth is a bold step in that direction. The ambitious scheme is a radical development of a successful model already in action in individual universities around the world, but which has never before been applied to an entire national education system. Proof of concept can be found at the University of Cambridge, which in 2006 formed Cambridge Enterprise “to help staff and students commercialize their expertise and ideas,” which it does by offering help to staff and students in business creation, consultancy and intellectual property management. Last financial year alone Cambridge Enterprise supported 1,714 researchers, filed 276 patents, generated 349 consultancy contracts, invested £5.2 million in spin-off companies and won £13 million in seed funding for university clients. Dubai doubtless also has an eye on the success story that is Stanford University. It blazed a trail with the construction of Stanford Research Park, which became a hotbed of research and development that spawned an entrepreneurial culture, generated income for the university and kickstarted Silicon Valley. Not that Dubai requires much instruction in entrepreneurship. Lacking oil wealth, from the outset it was obliged to build its own fortune, business venture by business venture. Today, 90 percent of Dubai’s income comes from commercial activities, many linked to the shipping, aviation and tourism sectors it developed in the face of much contemporary skepticism, and which today are world-leading enterprises. As Dubai has clearly recognized, a country that equips its graduates to think and act like entrepreneurs is a country that is investing in its future in the most practical way. It’s an example that other economies in the region, also facing the inevitable end of oil, would do well to follow. In the past, Dubai has always made its own luck. Now, in finely defining the objectives of its entire higher education system, it is also taking care not to leave its future to chance.